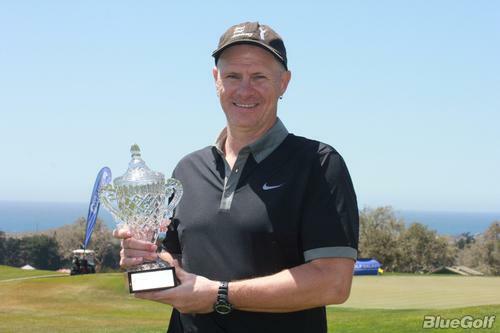 Big Congratulations to another one of our amazing students, Chuck Reeves, for winning the Golf Channel Am Tour’s Northern California Championship, May 17 and 18. Chuck shot rounds of 82 and 89 on the extremely difficult Bayonet and Blackhorse courses to beat out the other 25 players in Senior Sarazen flight. In a thrilling finish, Chuck made a 20 foot putt from just off the green on his last hole to win by one shot! Chuck has worked really hard on his game with BGA’s amazing, Craig Waryan and all of his practice and dedication is certainly paying off! Here is Chuck with his trophy. Way to go, Chuck!